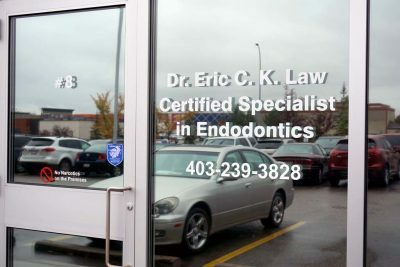 You’re probably searching our site because your dentist has said you need endodontic treatment. If so, you’re not alone. More than 14 million teeth receive endodontic treatment each year. By choosing endodontic treatment, you are choosing to keep your natural teeth as a healthy foundation for chewing and biting for years to come. If you’ve never had endodontic treatment also known as œroot canal treatment – or if its been many years since your last procedure, you may have questions or outdated expectations. Endodontists are dentists with additional training in endodontic procedures. To become specialists, they complete dental school and an additional two or more years of advanced training in endodontics. They perform routine as well as difficult and very complex endodontic procedures, including endodontic surgery. Endodontists are also experienced at finding the cause of oral and facial pain that has been difficult to diagnose. What is the Endodontic treatment? Endo is the Greek word for inside and odont is Greek for tooth. Endodontic treatment treats the inside of the tooth. To understand endodontic treatment, it helps to know something about the anatomy of the tooth. Inside the tooth, under the white enamel and a hard layer called the dentin, is a soft tissue called the pulp. The pulp contains blood vessels, nerves, and connective tissue, and creates the surrounding hard tissues of the tooth during development. The pulp extends from the crown of the tooth to the tip of the roots where it connects to the tissues surrounding the root. The pulp is important during a tooth’s growth and development. However, once a tooth is fully mature it can survive without the pulp because the tooth continues to be nourished by the tissues surrounding it. Endodontic treatment is necessary when the pulp becomes inflamed or infected. The inflammation or infection can have a variety of causes: deep decay, repeated dental procedures on the tooth or a crack or chip in the tooth. In addition, a blow to a tooth may cause pulp damage even if the tooth has no visible chips or cracks. If pulp inflammation or infection is left untreated, it can cause pain or lead to an abscess. Signs of pulp damage include pain, prolonged sensitivity to heat or cold, discoloration of the tooth and swelling and tenderness in the nearby gums. Sometimes, there are no symptoms. The endodontist removes the inflamed or infected pulp, carefully cleans and shapes the inside of the tooth, then fills and seals the space. Afterward, you will return to your dentist, who will place a crown or other restoration on the tooth to protect and restore it to full function. After restoration, the tooth continues to function like any other tooth. Many endodontic procedures are performed to relieve the pain of toothaches caused by pulp inflammation or infection. With modem techniques and anesthetics, most patients report that they are comfortable during the procedure. For the first few days after treatment, your tooth may feel sensitive, especially if there was pain or infection before the procedure. This discomfort can be relieved with over-the-counter or prescription medications. Follow your endodontists instructions carefully. Your tooth may continue to feel slightly different from your other teeth for some time after your endodontic treatment is completed. However, if you have severe pain or pressure, or pain that lasts more than a few days, call your endodontist. When the pulpal tissue of a tooth is damaged, the only alternative to endodontic treatment is the extraction of the tooth. To restore chewing function and to prevent adjacent teeth from shifting, the extracted tooth must be replaced with an implant or bridge. This requires surgery or dental procedures on adjacent healthy teeth and can be far more costly and time-consuming than endodontic treatment and restoration of the natural tooth. No matter how effective modern tooth replacements are (and they can be very effective, nothing is as good as your own natural tooth!